We all want products that are best for our baby or babies, but this can be a daunting task at times for some parents, especially if you’re looking for quality products at a budget friendly price. Tiny Love™ keeps this in mind by creating unique and innovative developmental baby gear and toys that will not break the bank. Tiny Love has won numerous awards for their quality products, which demonstrate the company’s awareness of and care for the interests of both parents and babies. My daughter is close to being 2 months old, but she has been a very observant baby since day one. Therefore, I was looking for an activity mat that would give her an opportunity to “explore” her surroundings a little more. Some tried to deter me from buying her one, because they felt like she was too young for one since she isn’t at least 3 months old yet, even though activity mats are age appropriate. 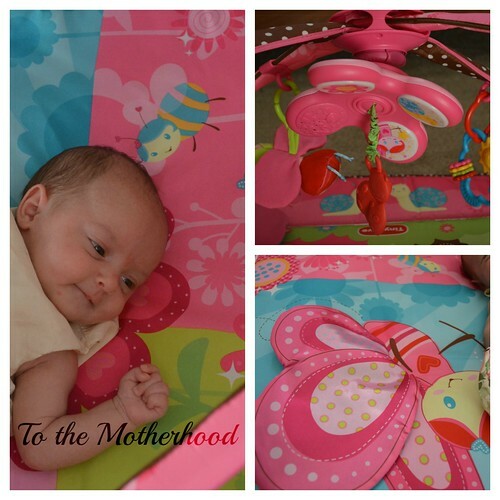 Baby activity mats, such as the Tiny Love Gymini® Tiny Princess™ Move & Play ($69.99), is a great way to encourage your baby to recognize textures, sounds, and colors as she learns and grows with these simple, yet exciting discoveries. I know that the online marketplace is brimming with endless activity mats, which can be an overwhelming experience for any new parent. However, this is actually the first activity gym that has a sliding arch connector that will bring the toys within the baby’s reach. 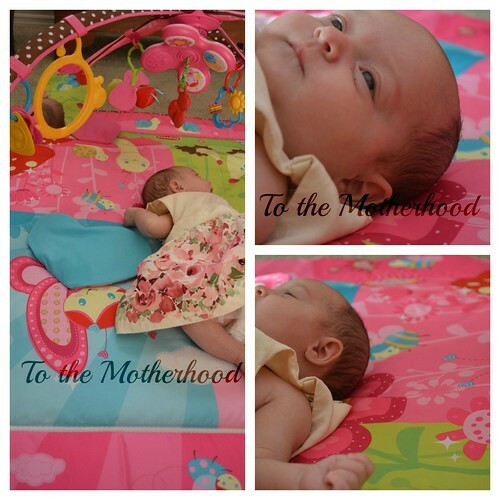 You can also position the mat in 5 different ways, which will make it an even more enjoyable experience for your baby. The Smart Motion System enables you position the arches evenly upright, creating a standard overhead gym; sliding the connector forward, so toys are easily accessible when they’re on their stomach. You can even completely remove the arches to allow your baby to sit upright, or adjust them to the side to join in on the fun with your baby. The arches open wide for comfortable access, making it easier to get your baby in and out. – 5 in 1 multi-positions will enable varied options for playtime. – It’s the only activity gym that will adjust to baby’s developmental stages. – Lights and music activated by babies touch, or parent switch for continuous play. 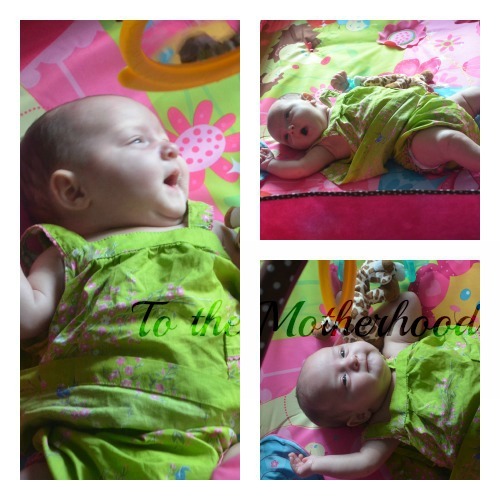 – The color scheme is fun and vibrant, making it an even more fun experience for your baby. – The extra large mat allows for extra play space. – It features sliding rings that enable flexible toy positioning, so your baby can fully enjoy them. – It snaps along the outside of the mat, which enables you to raise the borders for extra safety and security. I haven’t had the chance to buy the 3 AAA batteries to put the sounds and lights to a test, but my daughter has been really enjoying her mat lately. She enjoys looking at the mirror and the toys, which are vibrantly colored and visually appealing in various tones, such as pink, blue, green, red, yellow, and brown. The cartoon-like print on the mat features hedgehogs, flowers, ladybugs, mushrooms, and butterflies. It is beyond adorable, making it the ultimate must have for any little baby girl in your life! You can buy the Tiny Love Gymini® Tiny Princess™ Move & Play for $69.99 at Amazon. They also sell the boy-friendly and gender neutral “Animal” Gymini.